Old T shirts are one of my favorite crafting materials. I love finding new ways to reuse them! Why throw them away when you can turn them into something new? They are super versatile and easy to work with. 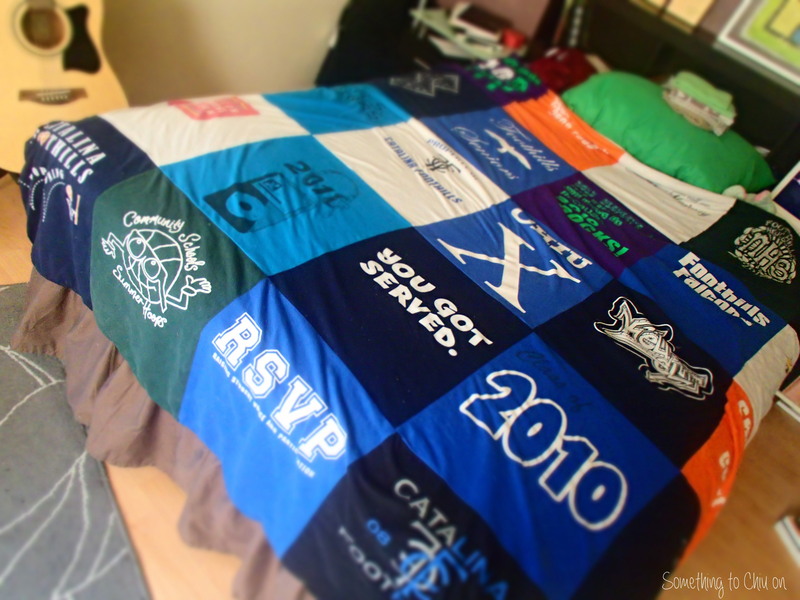 If you’re new to repurposing tees, here are some ideas of easy ways you can upcycle those old shirts. 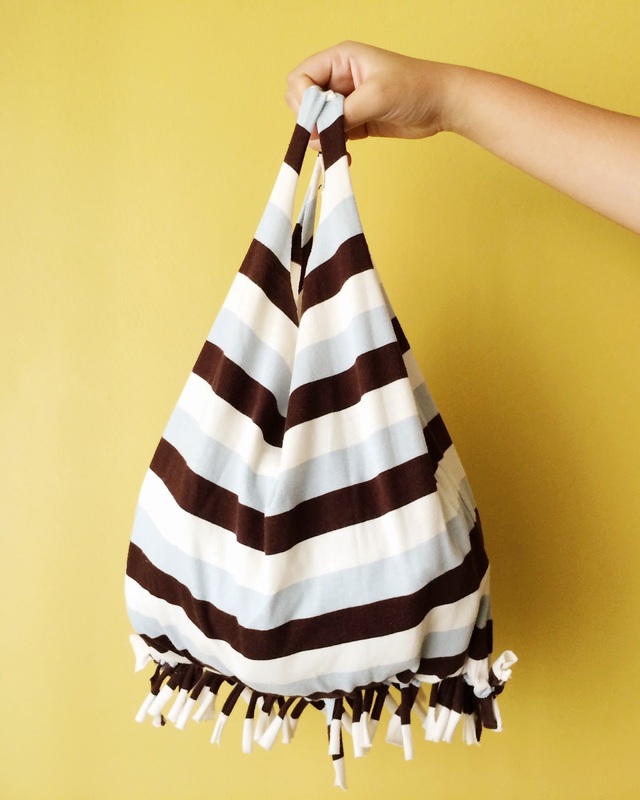 Add a new tote to your purse collection with your old shirts (via The Pink Doormat)! This is a really cool no-sew method for those of us who prefer to not use needles. 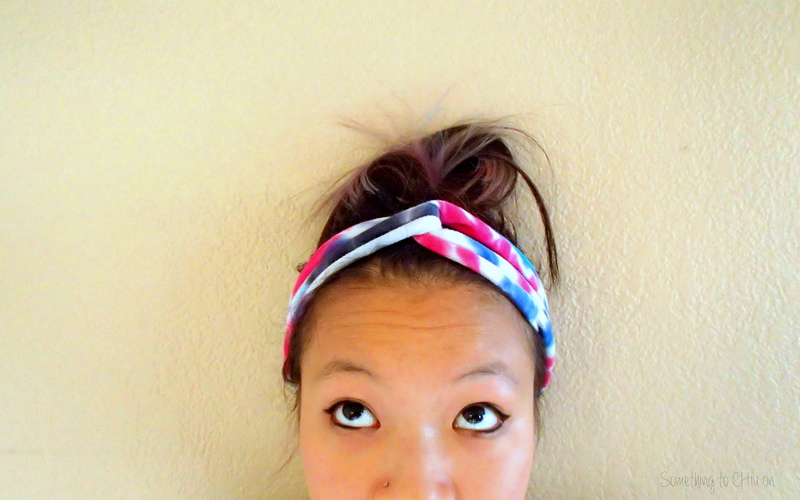 Head wraps are a great addition to everyday outfits! See my DIY post for how to make this. This is hands down my favorite scarf to wear and it cost me nothing! I wear it in warm and cold weathers and it goes great with almost anything. 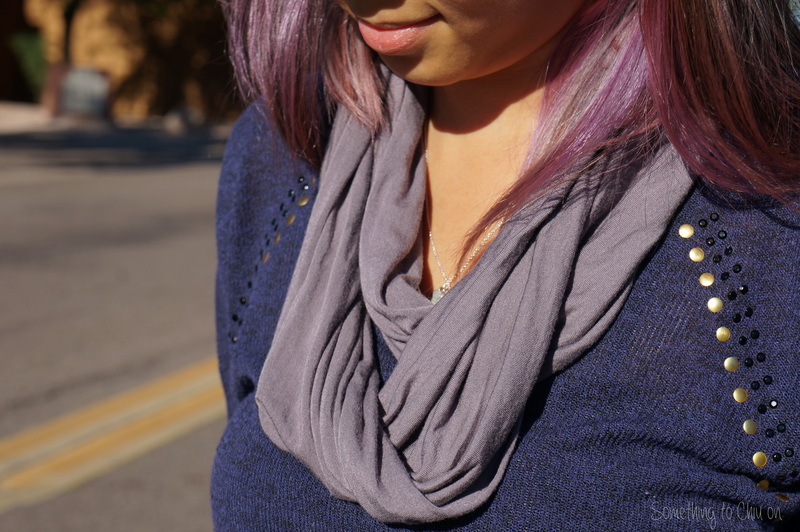 Old shirts are a super easy way to make a circle scarf – Simply cut off the bottom of a shirt and there you have it. You can also use old skirts/dresses. I found lighter fabrics work best and look the cleanest. There are so many styles of bracelets you can make with shirts! Shirts are one of my favorite materials for making bracelets. Not only does it save you money on string, but it also give the jewelry a cool style and unique look. You can really show off your own style and creativity with these pieces. Next ›BEST Almond Cinnamon Coffee Cake yet!